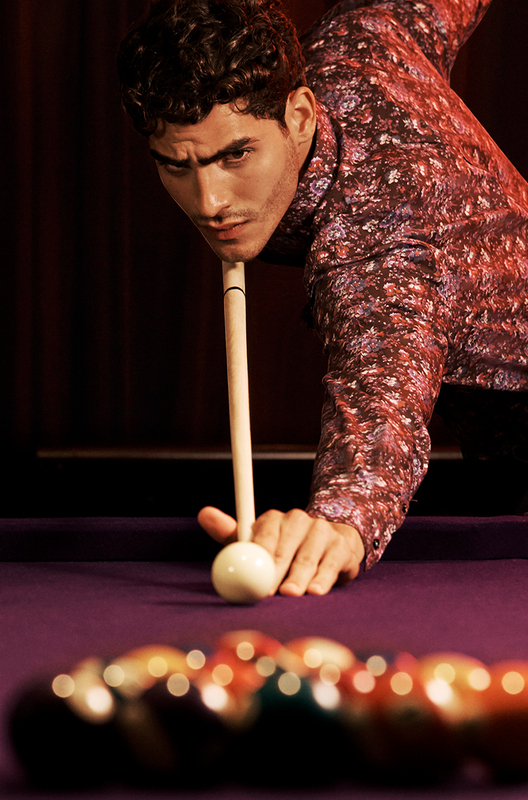 Shoot the breeze over a few drinks and billiards to escape the cool season chill. 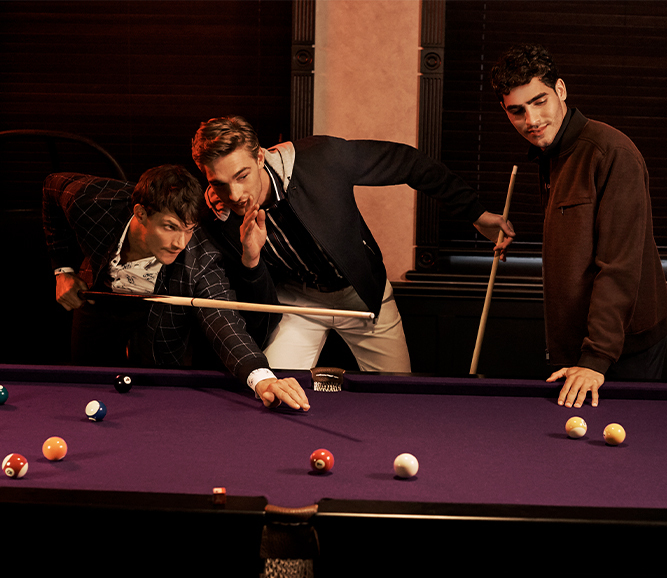 We all know every posse has that friendly banter taken very seriously amongst sports – and billiards is all about anticipating the next move. 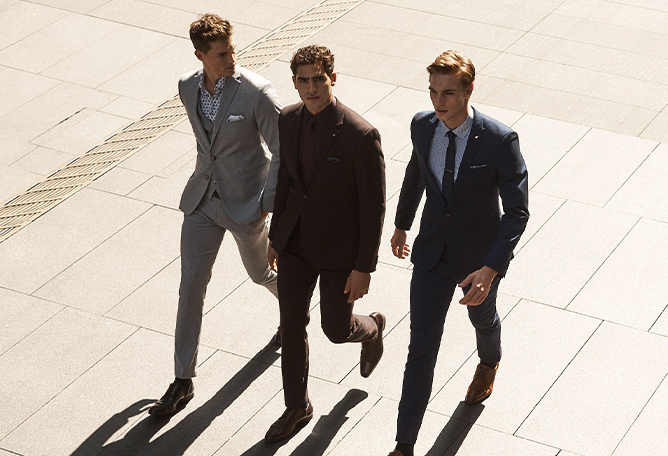 The cool mover, the smooth talker, the one that's always in the right place at the right time - with the right suit. The secret? 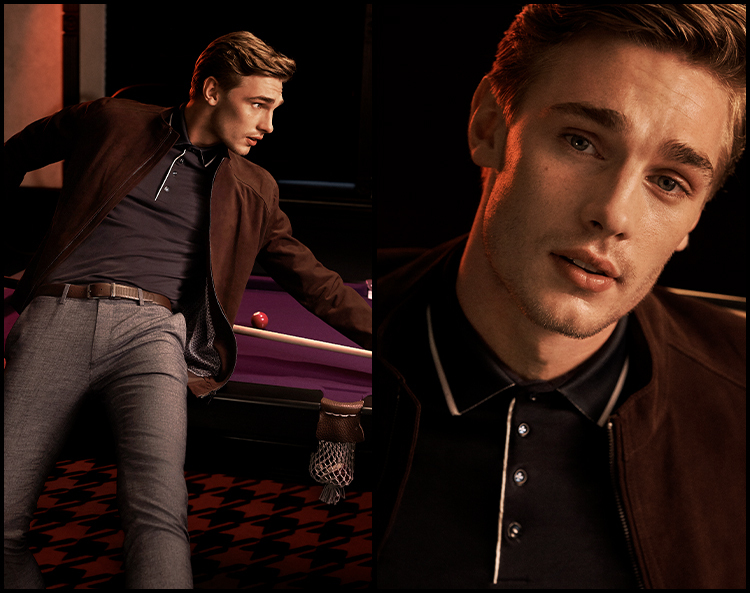 It's the stretch tailored fabrics that deliver those effortless strides. 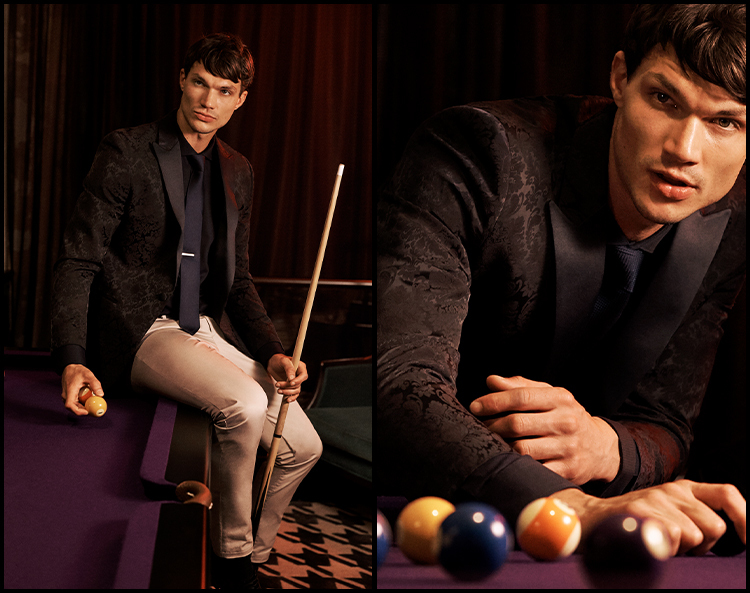 Suit it up with a print shirt and silk tie and boy, you’ve got yourself a winner. 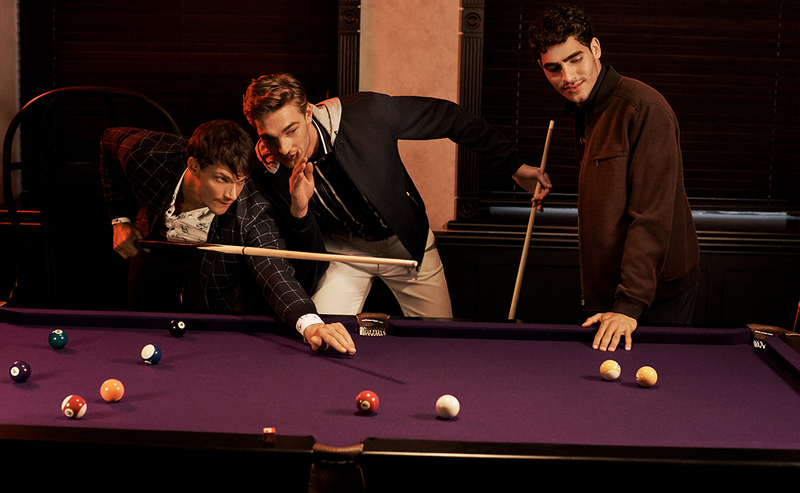 Watch them stare as you sling your jacket over a chair and roll up your sleeves for the next shot. 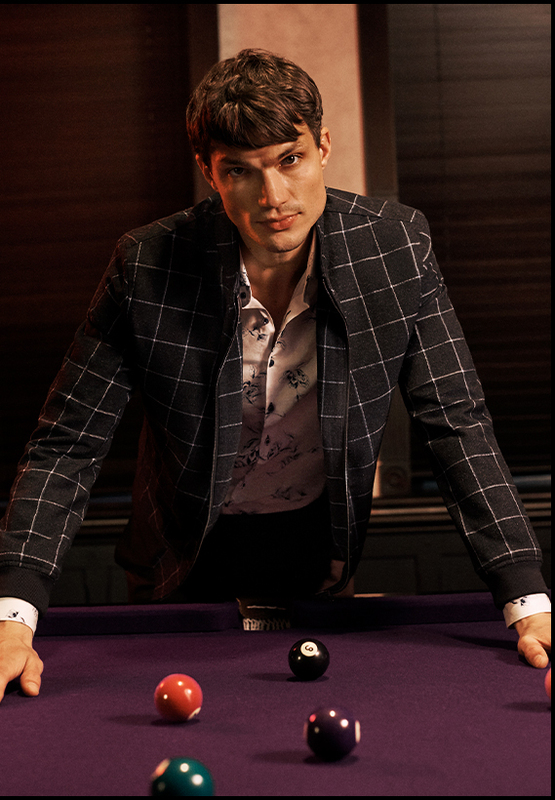 Interior jacket prints, lapel pin, pocket square, knit textures, contrast inner shirt cuffs, fused collars, designer buttons – the lucky charm is in the finer details. Go on, take a closer look. Work hard, play hard. The hustler can step up, style up and go whichever way the day - and night - takes. Sure, a magic eight ball can’t predict your next move, but a cool biker jacket will always look sharp no matter what’s on underneath.  When you're playing to win, our soft-as-butter leather jackets will mold to your shape in all the right places to make any dress casual look a hero. 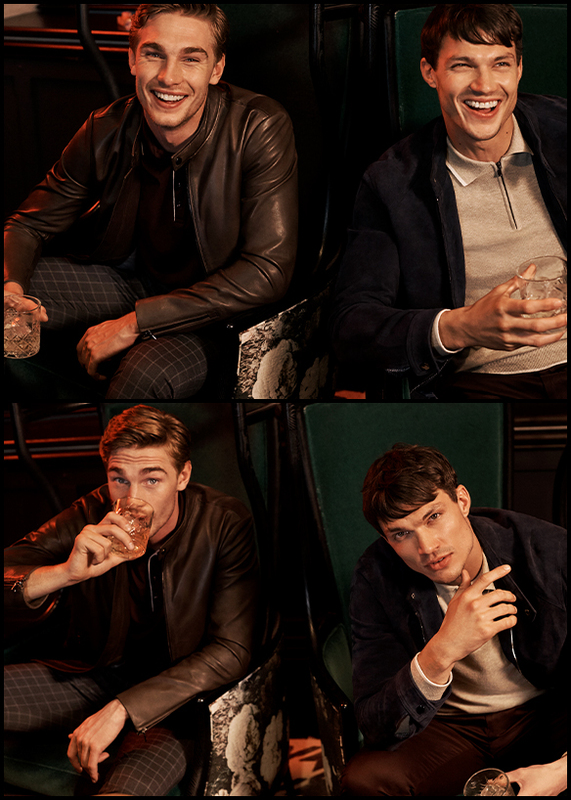 And like a top shelf scotch, leather jackets only get better with age. Cheers to that. Rules? They're made to be broken, right? The rebel who never plays by book, doesn't dress by tradition either. 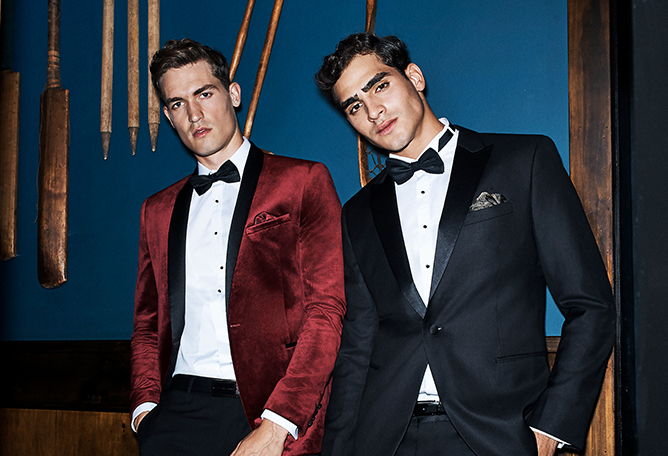 Black tie tux jackets - stride them sharp with chinos. Blazer looks - go rogue with a bomber jacket instead. We double dare you. Turn heads and get compliments. 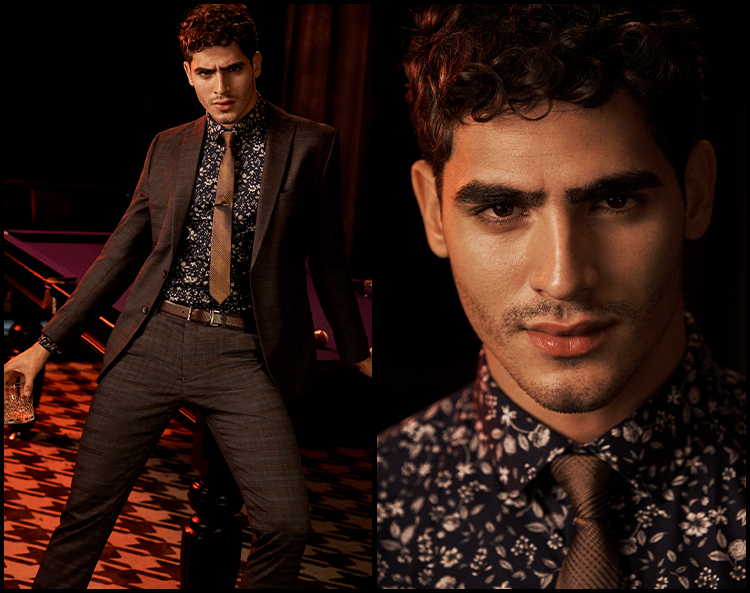 Take your style next level with stand out print, pattern and texture. 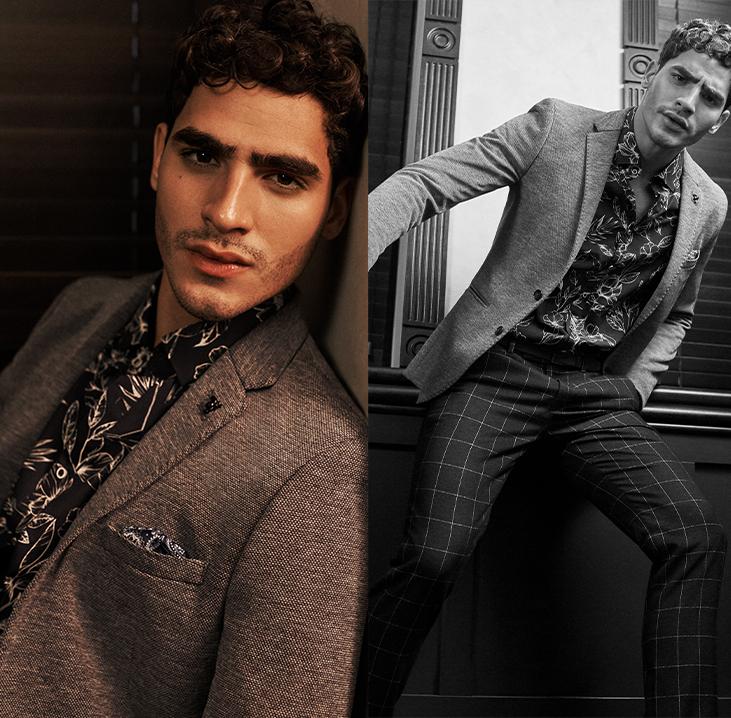 New season checks, bold floral prints, soft knit textures and opulent jacquard designs bring your unique sartorial personality to the table.